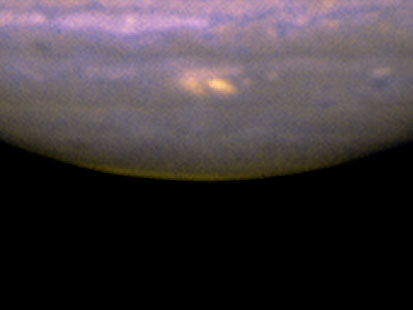 Latest spot on Jupiter just one of many significant finds by non-professionals. By day, they might work as ministers, musicians and construction managers. But at night, they pull out their telescopes and scan the starry skies searching for cosmic phenomena. And sometimes these amateur astronomers happen upon discoveries that rock the scientific community. "When it's something that's accessible, there is a community of people who think that it is wonderful and want to participate and sometimes make important discoveries," said Roger Launius, a NASA space historian. While he said that many amateurs have been formally trained in astronomy, others have learned along the way, driven by enthusiasm. Suzanne Gurton, education manager for the San Francisco-based Astronomical Society of the Pacific, said professionals have more technical background to analyze data but amateurs play an important role in the collection of it. "They all contribute to our knowledge of astronomy, to both the popularization and the science of astronomy," said Gurton. Here are a few examples of those contributions. Scientists around the world sat up and took notice last week when Anthony Wesley, the amateur Australian astronomer, reported to NASA that he was seeing something unusual in the southern hemisphere of Jupiter. Something -- possibly a comet or meteoroid -- went slamming into the planet, was swallowed up in its atmosphere of ammonia and methane, and left a visible scar. Scientists may never know the size of the object that hit Jupiter, and the planet itself will heal, but astronomers say the discovery is quite significant. "The recent spot on Jupiter is one of the best accomplishments ever by an amateur astronomer ? it's of such importance," said Stephen Maran, press officer for the American Astronomical Society (AAS). In the mid 1990s, the Shoemaker-Levy 9 comet hit Jupiter and showed the world that planets, Earth included, were vulnerable to other space objects. This recent finding, he said, shows that these occurrences don't just happen once in a lifetime but can occur regularly, even within a generation. "It will be the public awareness that comes out of this finding that's all important," Maran said. Earlier this week, Yale University announced that legions of volunteer astronomers from around the world helped scientists discover a group of rare galaxies called the "Green Peas." Through the project Galaxy Zoo, volunteers and amateur astronomers help classify galaxies by sifting through an online database of images. The project was launched in 2007 by a team of astronomers in the U.K. and involves about 230,000 volunteers from around the world. 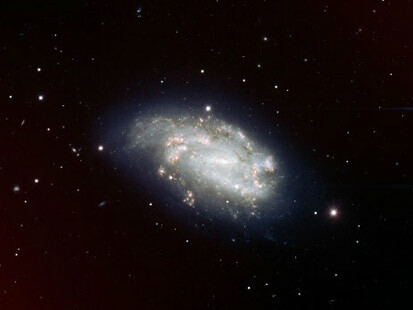 While poring over the images, Galaxy Zoo volunteers identified a number of unusual galaxies. Because they were so small and bright green, they called them "Green Peas." According to a press release from Yale, the galaxies are 10 times smaller than the Milky Way galaxy and 100 times less massive. But despite their small size, they are forming stars 10 times faster than our galaxy. "No one person could have done this on their own," Cardamone said. 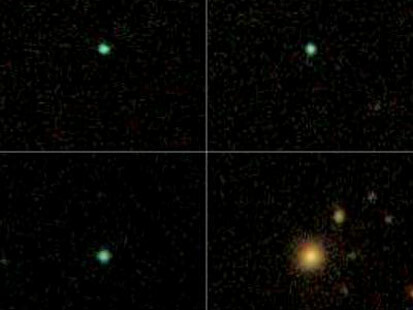 "Even if we had managed to look through 10,000 of these images, we would have only come across a few Green Peas and wouldn't have recognized them as a unique class of galaxies." It's not just modern-day amateurs who have made significant contributions to astronomy. When William Herschel discovered the planet Uranus in 1781, he was a middle-class musician who pursued astronomy as a hobby. 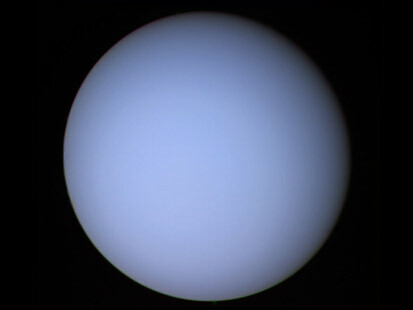 "As a result of discovering Uranus he came to the attention of the scientific community," said AAS' Maran. At that point, he was introduced to King George III who put him on salary. Other astronomers had observed Uranus before but thought it was a star. When Herschel observed it with a telescope he designed and built himself, he realized that in fact is was the seventh planet from the sun. 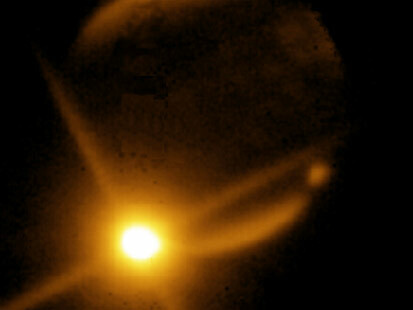 In 1993, Carolyn and Gene Shoemaker and David Levy discovered a comet orbiting Jupiter. About a year later, the Shoemaker-Levy 9 struck Jupiter, generating awareness about the possibility of cosmic objects colliding with Earth. Although he is now a decorated astronomer, at the time, Levy was an amateur astronomer and science writer. "He's probably best known as a writer of astronomical science books. He's very well trained, he just makes his living in a different way," said Roger Launius, a NASA space historian. "That's an example of an amateur who has had an enormous impact." The Canadian-born skywatcher has discovered 22 comets, which puts him in a tie for third place in history for the largest number of comets found by an individual. He now works with the Jarnac Comet Survey, based at the Jarnac Observatory in Vail, Ariz.
John Dobson is considered one of the most influential amateur astronomers, but not because of something he spotted in the sky. The astronomy enthusiast is credited with designing a telescope that made skywatching more affordable and accessible. "The Dobsonian telescope -- what an amazing contribution that is," said ASP's Gurton. "Amateur astronomy can be an expensive hobby. That design just shattered the price. It's so simple, you can make your own for a fraction of the price." Dobson, who was born in China in 1915, earned a degree in chemistry and worked in defense-related industries. But because of an abiding interest in astronomy, he tinkered with telescope design, building his first one in 1956. His design favored low-cost, easily-accessible materials over traditional components. For example, instead of aluminum or fiberglass telescope tubes, Dobson chose thick paper tubes used in construction to pour concrete columns. Gurton said he also popularized "sidewalk" or "commando" astronomy, which involved setting up portable telescopes in urban areas to give others the opportunity to view the night sky. "You catch a lot of people who might not have gone out of their way to go to the observatory," she said. "It's a very impactful thing that he has done." First discovered in 1995, the Hale-Bopp comet was one of the most distant comets ever spotted by astronomers. 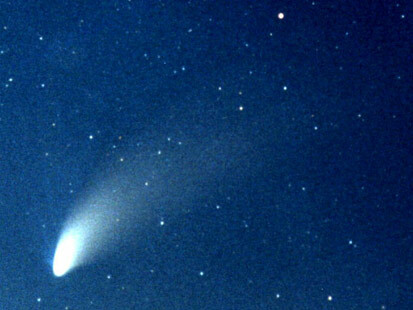 Most comets haven't been seen beyond the orbit of Mars but the Hale-Bopp was found by Jupiter. However, co-discoverer Thomas Bopp worked in construction as a manager at a materials factory when he first saw it. Alan Hale was a professionally-trained astronomer. The pair spotted the comet the same evening independently of each other. Hale was at his home in New Mexico, and Bopp was with friends in the desert in Arizona. Robert Evans became interested in astronomy as teenager in high school. With small refractor made from rolls of paper, a cardboard tube, a spectacle lens and an old eyepiece, he would vigilantly search the night sky. But when it came time to choose a profession, Evans chose ministry over astronomy. Still, the now retired Australian reverend holds the world record for visually identifying supernovas, rare exploding stars that are among the more important objects studied by astronomers. Automated searches now replace most of the human observers, but Evans has spotted 42 supernovas the old-fashioned way. "He just goes out every chance he gets," said ASP's Gurton. "He has a photographic memory and knows what each galaxy should look like. If he sees something brighter, he knows he's discovered a supernova." His spotting skills have earned him membership to the Royal Astronomical Society of Canada, the International Astronomical Union and other accolades.